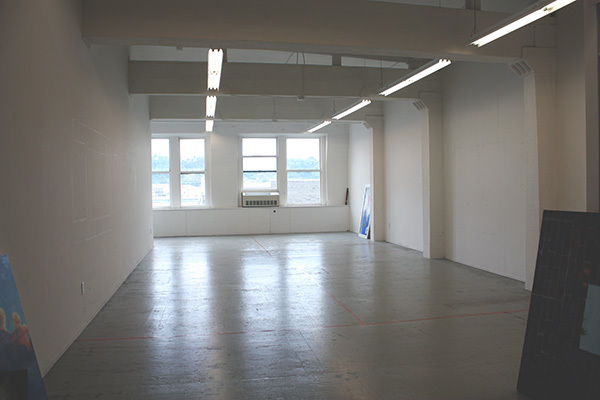 I moved into a new studio in SoDo in September. Hundred-year-old factory building, high ceilings, great light. Oh, and it’s over a bakery. 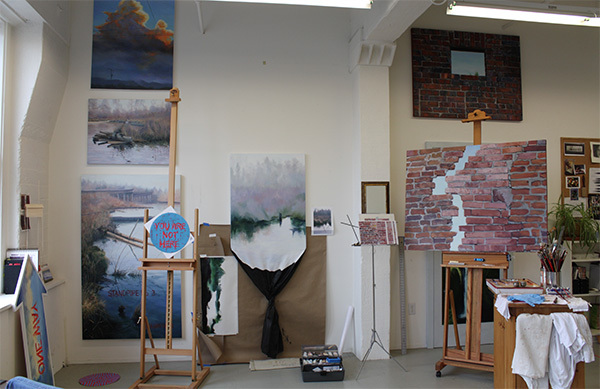 I’m sharing space with three other graduates of the Gage Drawing and Painting atelier. Here’s how it looked before we moved in. Those beams, by the way, are solid pieces of wood 26 inches thick. Here it is all moved in. 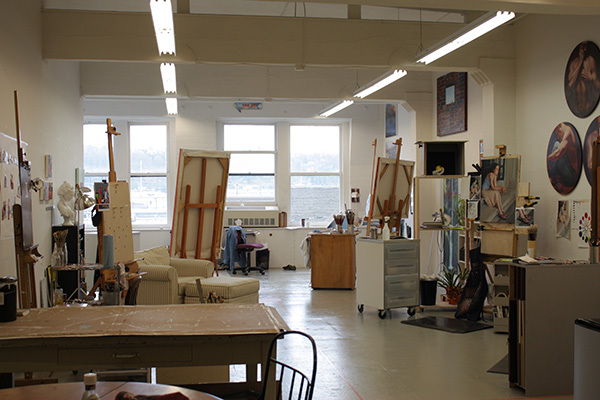 Shared work table in front, individual spaces toward the windows. It looks impossibly tidy, doesn’t it? Needs more paint flinging. 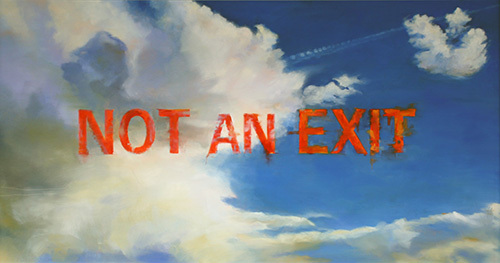 My painting Not An Exit is part of the Gage Academy of Art Alumni Exhibition, opening this Friday November 19th. There are actually three shows opening at the same time: The alumni exhibition; Anna McKee and Cynthia Camlin’s show of icescapes Below Freezing in the Steele Gallery; and drawings and sketches by Barbara Fugate’s students. It promises to be an interesting evening! What with one thing and another – travel, moving into the new studio, more travel, illness, deadlines – I have neglected this blog since hanging my show at the the OK Hotel in August. I’d like to start catching up by saying thank you to everyone who supported my recent shows. 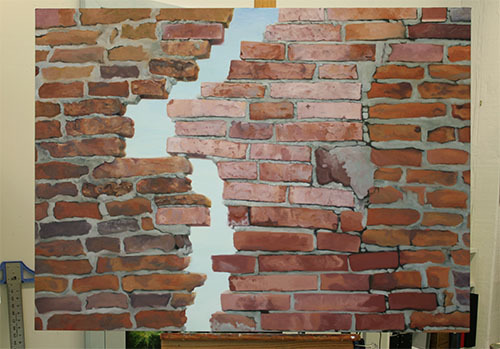 For coming to see the work, joining us at the receptions, buying paintings (! ), giving great feedback, or passing on the word: Thank you! New local art spotters Culture Herd picked the OK Hotel show as a fave. They have been covering Pioneer Square Artwalk irregularly (who am I to criticize?) and I hope they’ll post more. And my favorite raging liberal blog called me “scary talented.” That’s the nicest thing anyone has said about me in a while – if I ever write a memoir, at least I have the title (or the back-cover blurb, anyway.) Thanks, Michael!